Great site and pics. Got to your site from a guestbook post on okoboji.com. 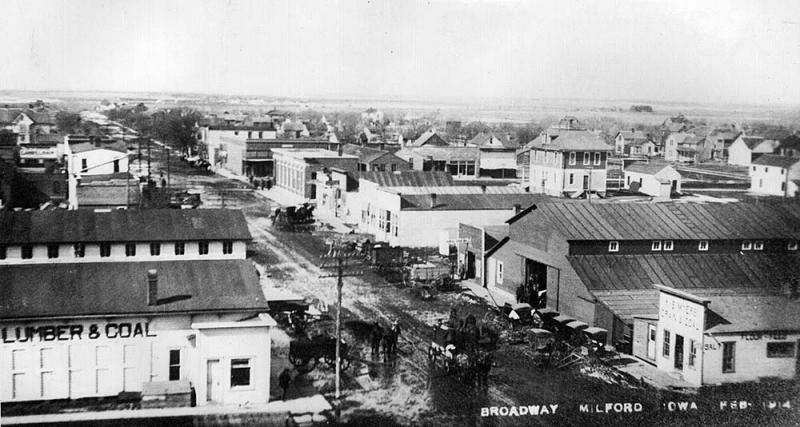 Your pic on milford 1914 Broadway - i think this is of 10h street looking west with the 3 sons building on the bottom right corner. Maybe this street was called broadway back then. thans bruce.